The Department of Defense announced today the deaths of two soldiers who were supporting Operation Enduring Freedom. They died March 19 in Kandahar province, Afghanistan, of wounds suffered when they were allegedly shot with small arms fire by an individual from a military security group. The incident is under investigation. They were assigned to the 4th Squadron, 2nd Stryker Calvary Regiment, Vilseck, Germany. Pfc. 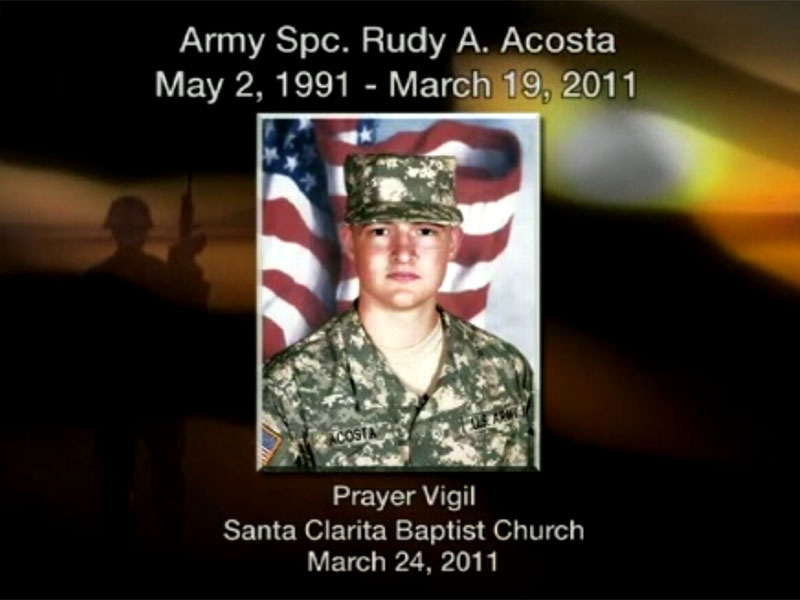 Rudy A. Acosta, 19, of Canyon Country, Calif.
Acosta was posthumously promoted to the rank of Specialist.